"Violet Eden is Grigori - part angel, part human. Her destiny is to protect humans from the vengence of exiled angels. Enticed is the second compelling book in The Violet Eden Chapters." Thoughts: Personally, I'm normally not a fan of books about angels. They're usually hit or miss for me, and even if I like the first book, I sometimes don't like the second. Whenever I first read EMBRACE, I thought to myself "Wow, this is so different from your every day ho-hum angel book!". It read more like a comporary novel with a paranormal (urban fantasyish) twist. The only question that remains, did I enjoy the ENTICE just as much as EMBRACE? Be rest assured, folks, because the answer is yes. 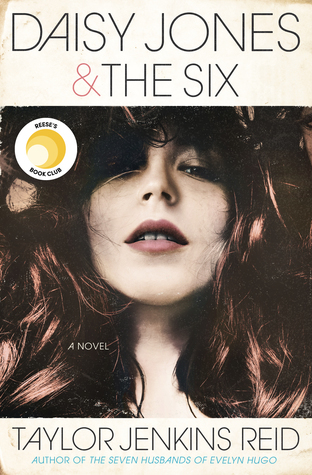 The cover very much describes the mood of the book. It's darker than the first book with an extra special hit of kickbutt. Though I must admit, the first half of the book was a bit of a struggle for me. While it's interesting, the pacing was just a tad slow for my taste. There were moments I utterly fell in love with, moments that kept me reading, and there were moments where I felt a little bored. Thank goodness for Lincoln! He seems to always save the day. Spreaking of Lincoln, I cannot tell you how much the sexual tension between him and Violet a) drove me insane and b) had me craving for more. What a splendid mixture of longing and restraint. I love and hate the forbidden nature of their relationship. Oh. Em. Gee. Needless to say, I'm excited about the next book! The last half of the book was impeccable. It was the perfect medley of action, suspense, tension, and mystery. Though I've read many books, the ending wholly caught me offguard. I did not see that coming. It was one of those scenes where you think it might happen, then dismiss it because really, how could it happen? Well, it did. Obviously I can't tell you what this "it" scene is due to spoiler reasons, but I will tell you that it is GOOD! Would I recommend this series? Absolutely. It's just too fun to pass up. It might not be for everyone, but it was definitely for me. Even if you are not a fan of angel books, you should still consider picking these books up. You don't want to miss out on all the fun, do you? Of course not. Thanks to the fabulous crew over at Sourcebooks, I am giving away a copy of EMBRACE AND ENTICE. All you have to do is fill out the Rafflecopter form below. This giveaway is only open to US and CA participants and will end October 4th. YAYYYY! I actually JUST read Embrace last week so I could read and review Entice for this tour. I really liked it, and I'm glad Entice is also good!! Also...I swooooon for Lincoln!!! GAH!! :) Great review, Lena! Seriously - I love everything about this series! I really like the characters and the entire Angel concept. 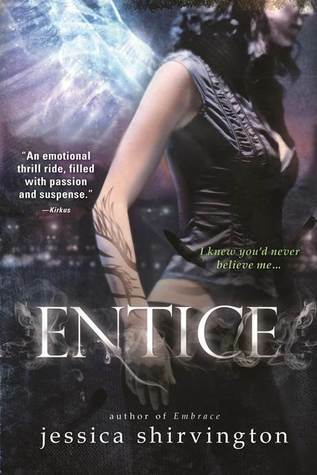 I can't wait to read Entice!! AHHH! I now really need to read this series!! I'll just be honest I'm a sucker for a good romance and I love a great plot! I haven't read this series yet but what entices me the most are Phoenix and Lincoln. Seriously, just their names makes me want to read it and see who's team I'll end up being on, lol! I'll always have a thing for angels, so I guess that's why Embrace sounds interesting to me. I loved Embraced and I can't wait for Entice! Thanks so much for the giveaway! I'm really looking forward to seeing some of this tension that you described in action, and I'm a fan of angel books. Looking forward to reading this! I haven't read either book yet but the covers are a perfect mix of mystery and sexiness, don't you think? Thanks for hosting this giveaway. I haven't read the series yet (I just got Embrace in the mail today), but I love the covers. Thank you for the opportunity to win! I love paranormal fiction---and boy, the covers are just GORGEOUS!!! What's not to love? Thanks a million for this giveaway! I WANT THESE BOOKS!!!! Haven't started the series yet but It is on my TBR pile! I have not read the series yet. But it sounds like it has great interesting characters. I just started this series and so far the MC's voice it totally pulling me in--a very good sign! I haven't read this series yet either, but I've seen a ton of positive reviews for it and I'd love to see what all the hype is for myself :) Thank you! Embrace and Entice sound interesting. I started reading a few angels related story lately so this will be an interesting one to get into. I haven't read this series but I have wanted and started to branch out the genres I read. I getting a little tired of vampires and werewolves but not paranormal it's self. The synopsis alone makes me want to give this series a try! I haven't read either of these books, but I seriously love to read, so I am always looking for other books to fall in love with. I'm in chapter 6 of Embrace and so far I love how Violet has a crush on Lincoln and I can see that Lincoln might have feelings for Violet but he's not letting on. Well, I am obsessed with angels and from the comments and reviews I've read, that it is an AWESOME book series! I have been wanting to read these novels for a while now! I love the idea of the story and those covers are just gorgeous!